Joel Wapnick is professor emeritus at McGill University, where he taught undergraduate and graduate courses in music education and related fields. His novel The View North From Liberal Cemetery was shortlisted for the (2015) Quebec Writers' Federation Concordia University First Book Prize. A Montreal Gazette article concerning the novel can be found here. Joel is an expert Scrabble player, having won the World Championship, the Canadian Championship twice, and the North American Championship. He has written three Scrabble-related books, the most recent of which is How to Play Scrabble Like a Champion (2010). He currently resides in Cleveland Heights, Ohio, where he shares a residence with the novelist Varley O'Connor, and coexists more or less peacefully with Tadeu Jiro, a Burmese cat. Delightful. Delightful. Delightful. 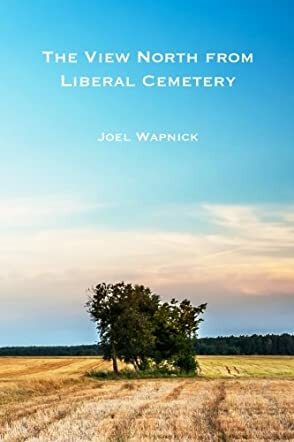 I’m not sure how many more times I should write that word, but it’s the best one I can come up with to describe The View North from Liberal Cemetery by debut novelist Joel Wapnick. Following protagonist Carl Anderson through his journal entries, we meet a gentleman at a loose end. Newly retired from his position as a college professor of religion, he attempts to find meaning in his life in his new retirement community, even as he contemplates what he considers to be his impending death. Meeting the interesting Shelley Randell, a librarian 56 years his junior, seems to be just what he needs to enliven his life. He asks her to join him on a journey to find out more about his childhood. They find themselves on quite an adventure, committing two crimes along the way. When Shelley later refuses treatment for her chronic illness, Carl refuses to accept her decision and attempts measures that grow more and more extreme to try to save her, putting his own well being at risk. I loved this book. Loved it. I have to disclose, I work in a nursing facility, so many of the themes like difficulties with aging and accepting new roles in later years, contemplating mortality, and struggling to maintain one’s vitality are ones that I encounter on a daily basis, so this book held special appeal for me. But it’s so much more than that. The View North from Liberal Cemetery is funny, laugh out loud funny in many parts. It’s touching and heartwarming. It is simply a fantastic read. I would highly recommend The View North from Liberal Cemetery to any reader who loves great fiction and is looking for a book that will stay with them for a long time after they finish it. This was author Joel Wapnick’s first attempt at writing fiction, but I certainly hope it’s not his last. This book should appeal to everyone who reads literary fiction, especially those who are retired, entering retirement, contemplating entering retirement, or taking care of an aged loved one. That should be every person of intellect over the age of 40.